I just realized that I haven’t eaten a single sakuramochi this year! It’s almost the end of April! I have to eat at least one before April comes to an end! Thanks again to everyone who sent photos! ※ Photo and size have been slightly edited for use as my header! 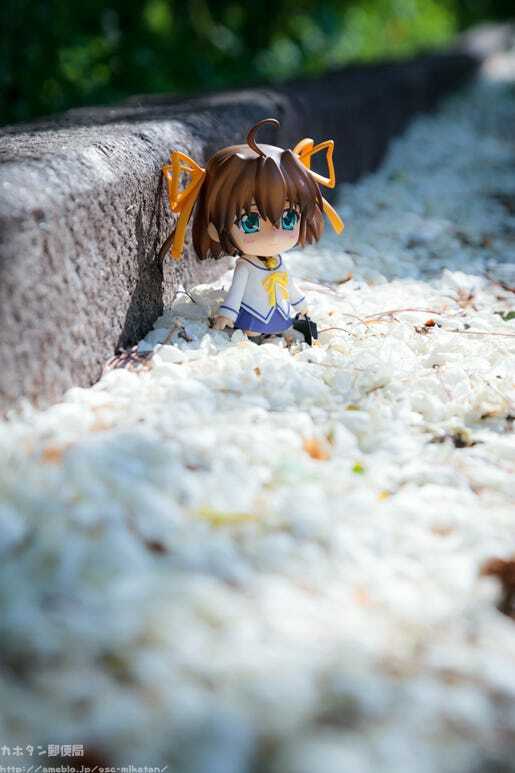 A photo of Millihi running through the sakura blossoms in full bloom! The pink color of her outfit matches with the cherry blossoms so well it’s almost like camouflage! The gentle Princess of the Biscotti Republic, Millhiore F. Biscotti, together with the gentle blossoms blooming around her! What a lovely scene! Anyway, as I said it was a very difficult choice, so let’s take a look at some of the other contenders! The blossoms by the river finally reached full bloom, so I took a photo that I’ve been wanting to grab for ages! 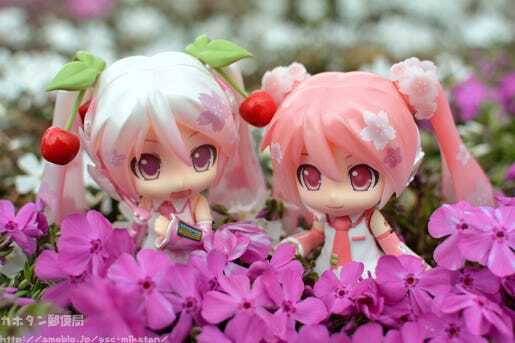 Sakura Miku’s little sister arrived, so I decided to take a photo of the two of them together! Most people pick cherry blossoms when it comes to Spring, but I also think that phlox blossoms are beautiful! 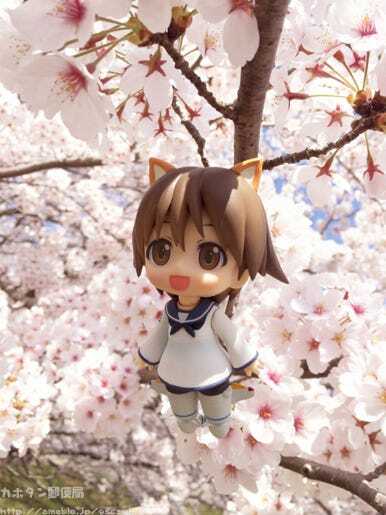 I recreated the scene from episode 1 of Strike Witches 2! 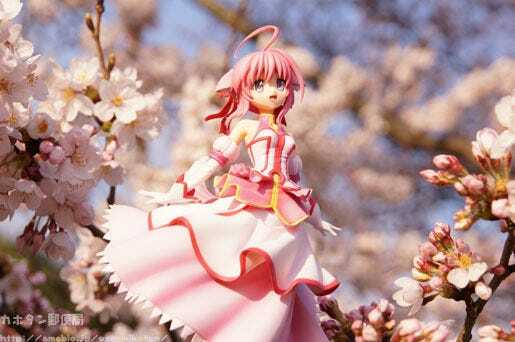 Yoshika flying though the cherry blossoms was such a memorable scene! 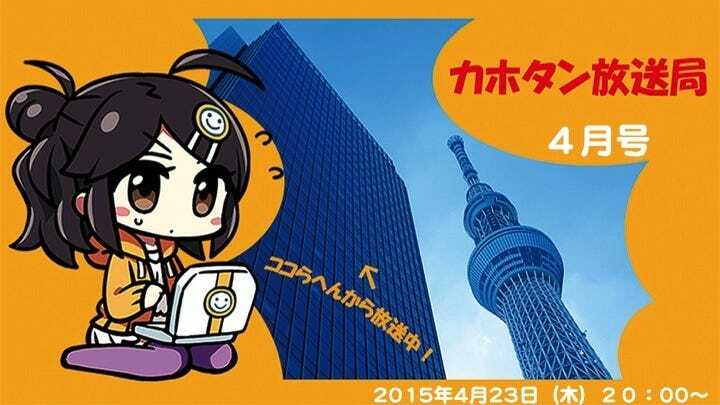 I can’t wait for more Strike Witches!! 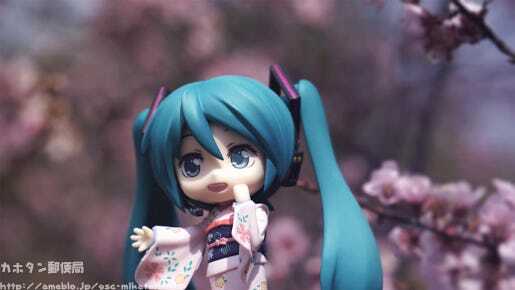 I hope you will like my photo about Miku. The colors give the photo a kind of retro-look that suits so well! The first one is from Shinjuku Gyoen which I visited during my trip to Japan 2 years ago. 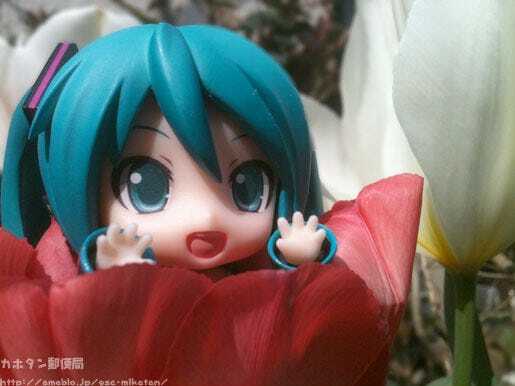 I took Miku out during the last days of blooming; it was a rather windy day, and you can really see how sad she is that the beautiful flowers are already falling down! The other set is from Moscow. 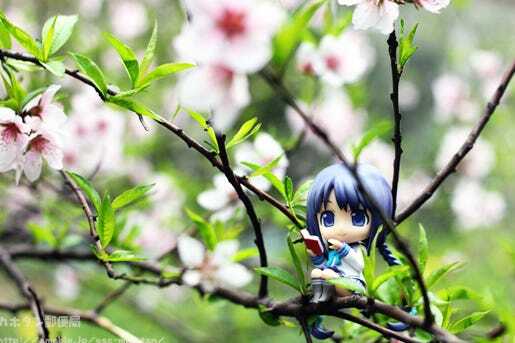 Here in Russia, spring is mainly about blooming apple trees; most of those are pure white, not pink, but a lot of people still go out to enjoy the first warm and sunny days despite “hanami” not being an officially recognized holiday (and taking place more than a month later)! Lishtenbird sent in a selection of lovely photos!! They were all beautiful, but I selected my two favourites for the blog! 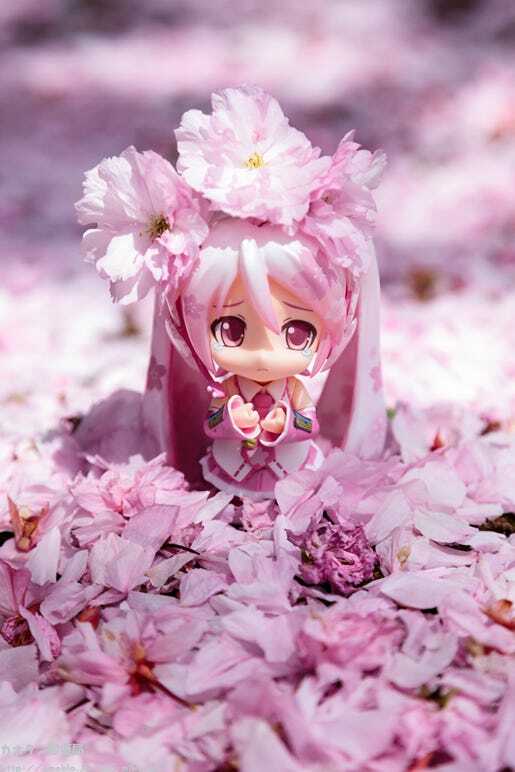 A photo that captures the ‘small and cute’ aspect of Nendoroids! 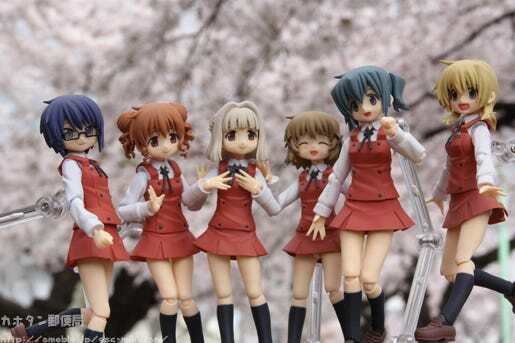 The last scene of Hidamari Sketch ×☆☆☆ in figma form! Unfortunately it was cloudy and rainy, but I still got the photo I wanted! 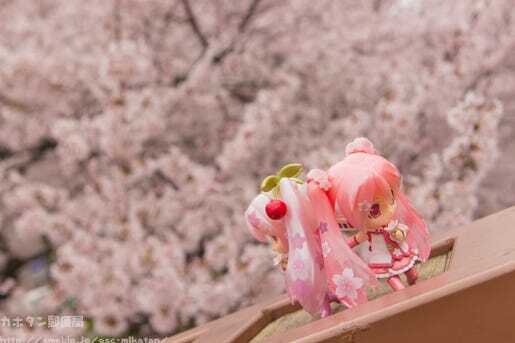 One early morning the skies were beautifully clear, so I went out to see the cherry blossoms with Sakura Miku. 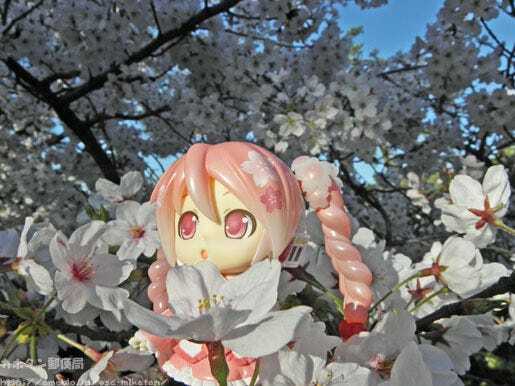 Here she is looking out at the sunrise surrounded by blossoms! 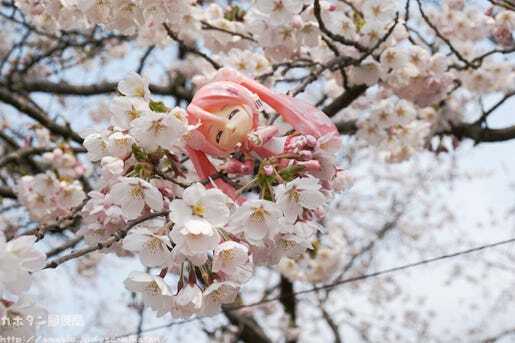 A photo of Madoka-san welcoming Spring back. 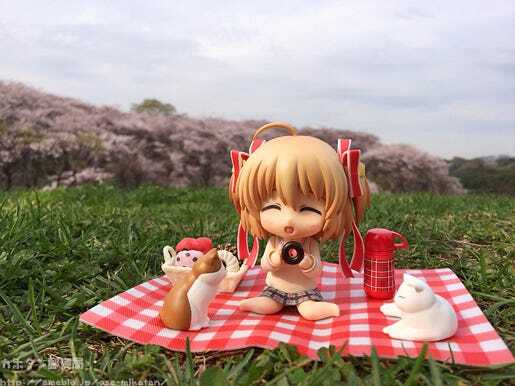 Komari-chan having a picnic by the cherry blossoms. I felt like I was out on a picnic with her! 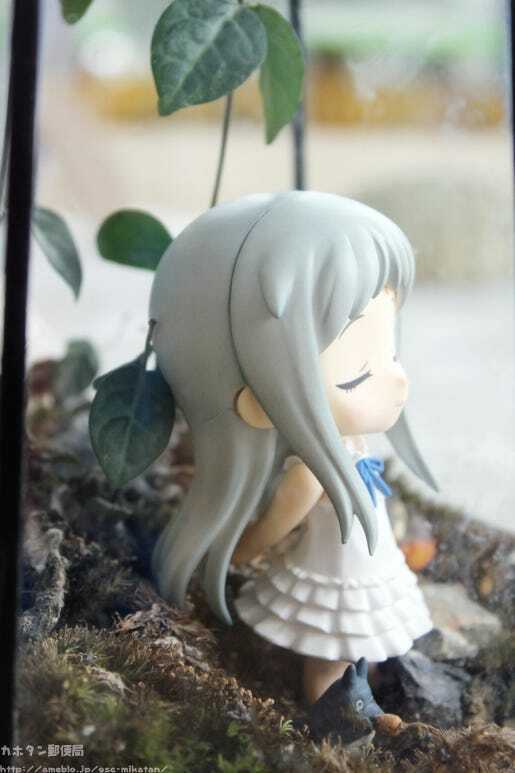 Menma looks so calm and relaxed with her closed eyes expression! Just looking at her puts my mind at ease! 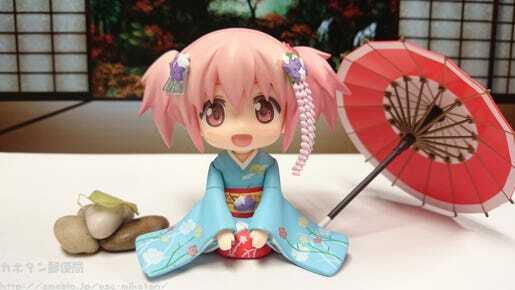 The little someone by her feet it also very cute! 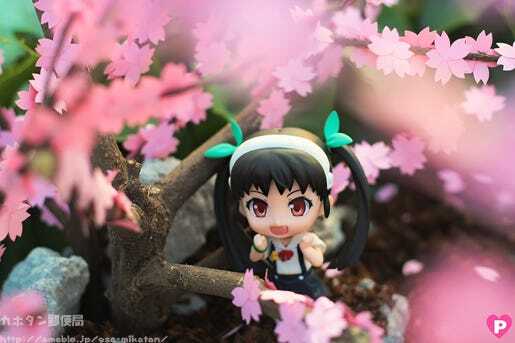 Mayoi loves watching cherry blossoms! So without further ado, I’m now looking for photos for my… Summer Header!! I look forward to everyone’s male figure photos! !